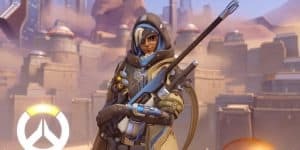 Overwatch: Ana's Nerf Reverted Because Of Feedback | Nerd Much? Only a day after the PTR update that nerfed the newly arrived Orisa and a few other characters (who may or may not have needed it), Blizzard has decided to revert some of those key changes. If you were part of the team cheering that Ana was finally taken down a notch, you’ll be disappointed. Her impact damage (which had been reduced from 60 to 30 in the update) has been reverted to the original live status, though her Biotic Grenade nerf (100 to 50) remains untouched. This didn’t please very many players, who expressed their concerns on the forums. Ana isn’t the only one, however. Zenyatta, in the previous update to this one, had the weapon spread on his Orb of Destruction removed, and gifted the ability to target enemies through barriers with his Orb of Discord. In this new patch, the Orb of Destruction will remain unchanged, but the Orb of Discord will no longer possess the latter feature. What do you think of these reverted changes? Are they for the better or worse? Let us know your thoughts in the comments below!